a filter, but actually destroys viruses, bacteria and other volatile compounds within the air purifier. Below is a diagram outlining how the photo catalytic converter works. The other important concept to getting healthier indoor air quality is Air Exchange. You need to change the air in a room to clean it. On the front of your Catalytic PURE AIR purifier you will see the Air Exchange Level monitor on the Display Panel pictured below. The higher the air exchange level, the better indoor air quality you will have. 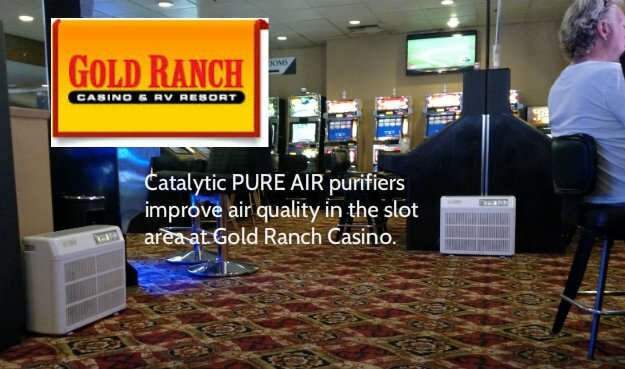 Let’s now go into detail of each stage of the Catalytic PURE AIR purifier so your can understand why it is the preferred air purifier of so many casinos and hotels to improve indoor air quality. indoor contaminants in your home or office. 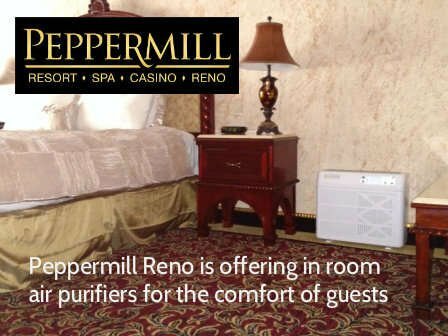 It is the same air purifier that is used in hotels and casinos throughout the USA. 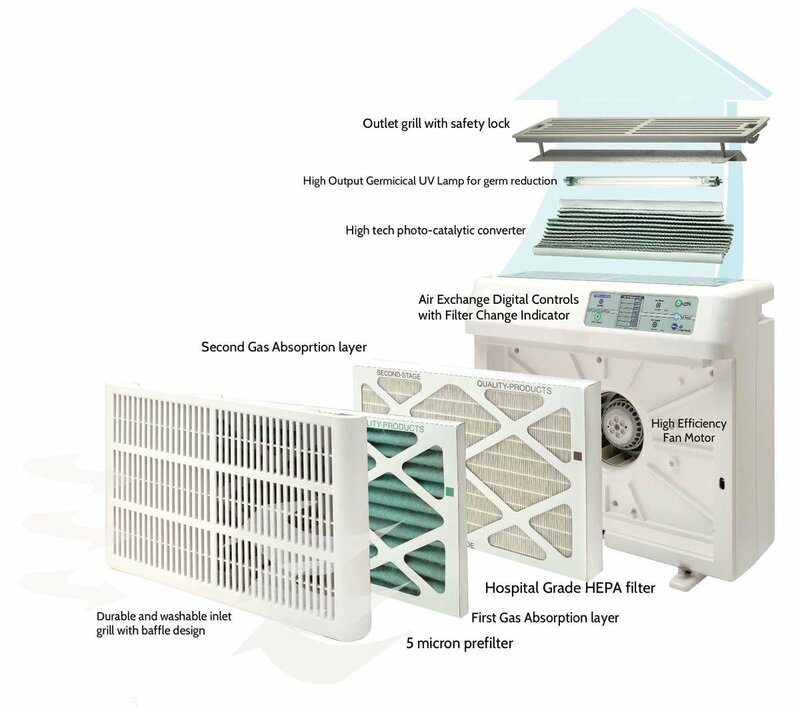 Please see below the six stages that make the Catalytic PURE AIR purifier an investment for a lifetime. Stage 1: 5 micron prefilter: A 5 (five) micron prefilter removes all particles from the air larger than (5) microns, extending the life of the HEPA filter and protects the gas adsorbing media from dust coating and fouling. Dust, dirt animal hair, pollen etc. converter destroys the pollutants, toxic chemicals and gases reduces odors. Stage 3: Hospital Grade HEPA Filter (white) removes allergens so small (down to 0.3 microns) that they can only be seen with a microscope. Pollen, mold, fungal spores, dust mites, cockroach dust, tobacco smoke and bacteria are but a few examples. photo-catalytic converter destroys the pollutants. toxic chemicals and gases reduces odors. Stage 5: A high output germicidal lamp UV lamp to reduce germs. Ultraviolet light 10,000 times the intensity of sun light kills viruses and bacteria too small to be filtered out by a HEPA filter. Ultraviolet technology combined with photo-catalytic oxidation is the most important feature in air purification since germs are easily spread from one person to another by central heating and air-conditioning systems. Stage 6: The Photo Catalytic Converter. 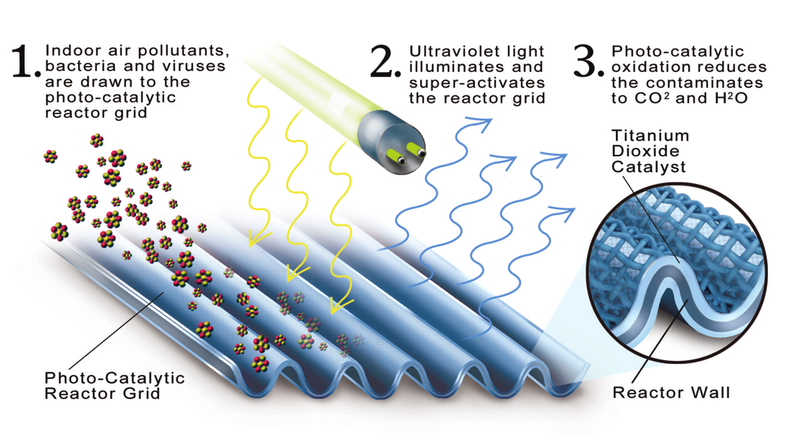 The key to Photo-Catalytic Oxidation is the photo catalyst, a chemical compound that becomes highly reactive when exposed to various wavelengths of ultraviolet light. Catalytic Converter: 23 sq. in. of material. Radial screen for more contact air flow. Who is using PCO technology in the hotel and casino industry to improve their indoor air quality? From a 400 sq. ft hotel smoking room at the Peppermill Resort Spa Casino to the 310,000 sq. ft. Barona Resort & Casino in Lakeside, CA, PCO technology is reducing contaminants and improving indoor air quality in the gaming industry. 2) What’s the difference between “self contained” and “purification for a central air system” applications? For areas under 4,000 sq. 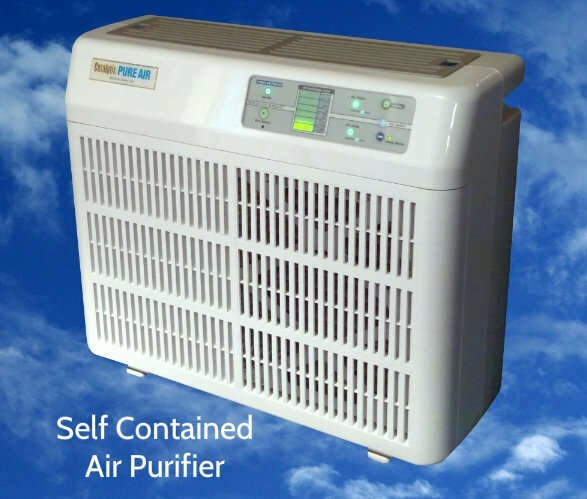 ft, the “self contained" Catalytic PURE AIR (PCO) purifier, is a powerful stand alone air unit with a small 8” x 24” foot print that is a self contained air purifier that delivers excellent air exchange and plugs into any 110V outlet . It’s perfect for smoking hotel rooms, slot areas, public areas, etc. that need to improve indoor air quality immediately. Each air purifier unit covers 300 – 500 sq. ft. and can be grouped in an area as seen below.